Researchers found that girls have a higher prevalence of dizziness and balance problems compared to boys, 5.7 percent and 5.0 percent, respectively. In addition, non-Hispanic white children have an increased prevalence of dizziness and balance problems (6.1 percent) compared with Hispanic (4.6 percent) and non-Hispanic black (4.3 percent) children. 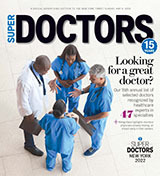 The findings were published online January 27 in The Journal of Pediatrics(link is external). Children with any reported difficulty hearing were two times more likely to have dizziness or balance problems compared with children who had normal hearing. Other risk factors associated with dizziness and balance problems included impairments that limit a child’s ability to crawl, walk, run or play; frequent headaches or migraines; certain developmental delays; a history of seizures in the past 12 months; stuttering/stammering; and anemia during the last 12 months.